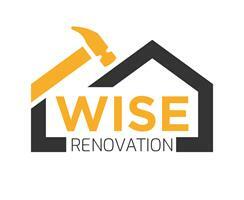 Wise Renovation Limited - Bathrooms, Builder, Kitchens, Painter/Decorator, Plasterer, Tiler - Tiling based in Ascot, Berkshire. We are a UNIQUE Company with OVER 21 years’ experience in construction. Each individual job is completed to the highest standards possible with fully satisfied customers. We highly value our customers and our main priority is their full satisfaction. All the members of our teams are highly skilled professionals and experienced builders, and we help our customers to make the right decision according to their needs. We offer all our clients The highest standard of Quality, Speed, Dedication, Excellence, Communication, Professionalism, Positive Energy and Competitive prices which makes us Different and Unique and we are second to NONE.